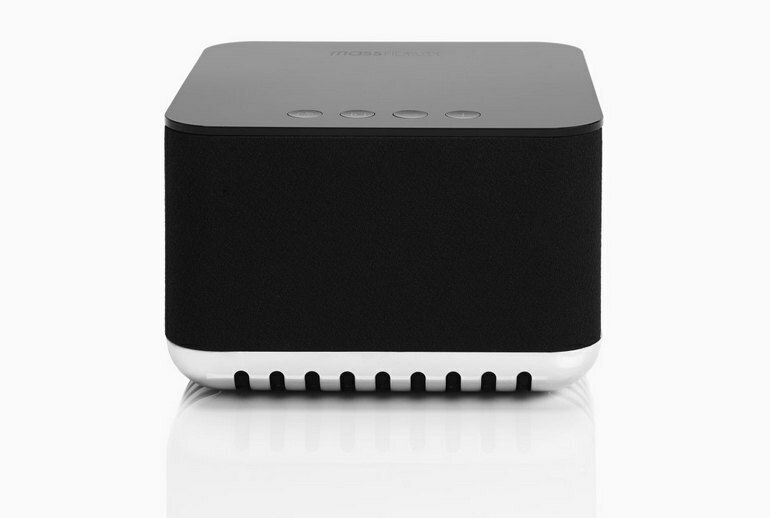 This portable Bluetooth speaker delivers terrific sound quality, even in a spacious room. The advertised 12-hour battery life is impressive. 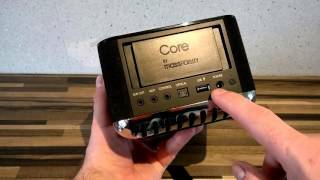 The Core's size makes it portable, and it offers multiple connection options. 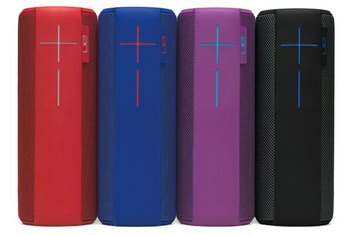 The price tag is steep, considering the $200-plus range that is typical for other Bluetooth speakers. The only color available right now is black, so if you're looking for a bright-color, you're out of luck. The surface of the Core loves fingerprints. If there are kids around--or other sticky fingers--you'll be wiping it down more often than you'd like. 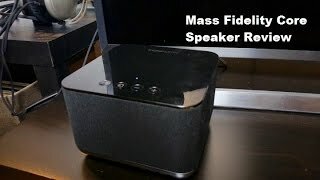 Toronto-based Mass Fidelity wants to wow you with big sound from a relatively compact Bluetooth box. The multi-room Core uses multiple drivers to spring sound off the walls in your house or office to create a listening experience that surpasses stereo. The idea is that you can hear your tunes clearly from anywhere in the room. 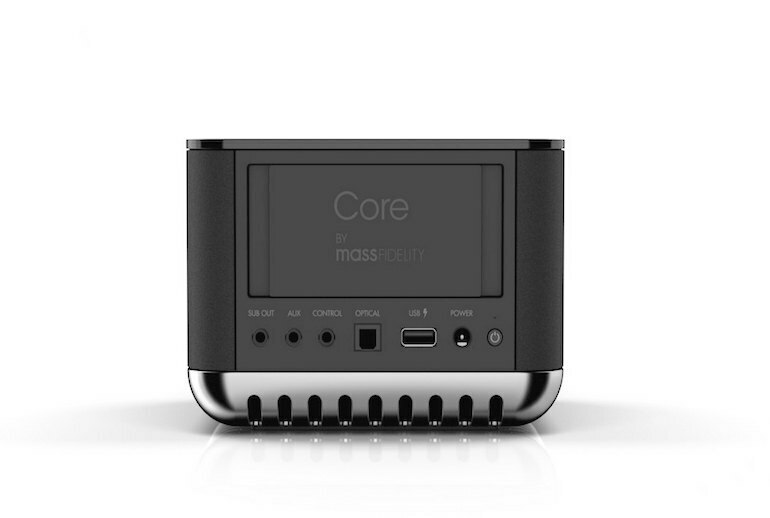 The Core offers a simple setup system and does not require any apps. 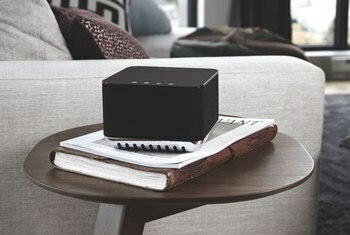 The compact speaker measures 6 by 6 by 4 inches, which makes it easy to tote around. 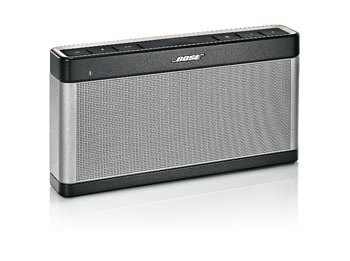 The Core can act as your speakerphone for calls, and you can take advantage of gesture control to advance tracks. It takes about two hours to charge after running on empty. 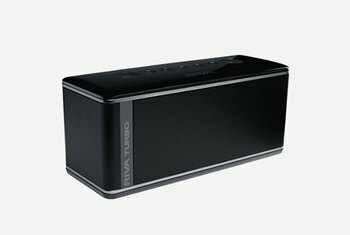 Battery life on it is pretty strong at 12 hours, and the speaker is small enough to be portable, similar to Jawbone's Jambox or Bose's Soundlink Mini, but with a lot more thrust and oomph behind it. [W]hat makes the Core stand out from the competition is the ease in which you pair the devices…[E]ach Core has its own 5-GHz network, so linking devices is as simple as pressing the pair button…In practice, my second Core took 3.5 seconds to connect with my main device, instantly transforming my humble bedroom into my own private concert hall. Listening to some of my favorite songs (Thievery Corporation, Emancipator) was like a new experience as additional sonic detail was revealed. The speaker filled a reasonably large room that could fit at least 100 people with ease, and it sounded remarkably clean even from the opposite side of the room. 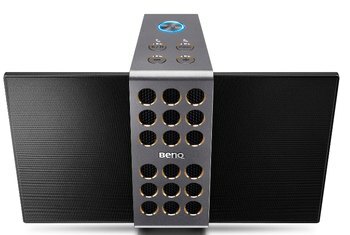 This thing dwarfed the sound coming from other large Bluetooth speakers I have and even at its highest volumes wasn’t producing distorted sound in the least. I placed two of The Core boxes in different rooms, and made one device play a song from my phone. After I hit the sync button, it took the two devices about 5-10 seconds to work out which one was the parent before pumping the song in sync. Obviously, this is a really great feature for parties. It’s powerful enough to fill my entire loft apartment, and when I brought it into my bedroom and closed the door the sound was just incredible. Cut through the fluff and you find that the Core is a really high-end Bluetooth speaker that has great sound and lots of power, but is still saddled by the inherent limitations of Bluetooth. In a demo playing through various songs both new and old, ranging from Rock, to Pop, to Hip-Hop..the Core had no problem filling a room with stereo-imaged sound...The Core is a small box, about four inches high and six inches wide, yet it mimicked the output of two large stereo speakers.